Located in the heart of the Texas Hill Country sixty miles NW of San Antonio. The Inn of the Hills blends its casual personalized service to make any vacation or business meeting memorable. The native stone architecture and relaxing environment has made the Inn a Central Texas landmark. Providing quality food service and entertainment has given the Inn a reputation for hospitality. 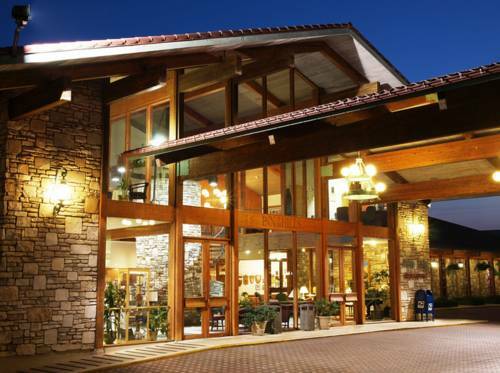 The Alpine Lodges buffets and desserts the Inn Pubs live Texas music and a central location make the Inn a popular destination. Three outdoor pools tennis court beautifully landscaped courtyards and nearby access to the Guadalupe River combine to make a stay at the Inn a complete vacation. And if you need more within minutes of the Inn you can enjoy museums cultural entertainment shopping motor touring motorcycling bicycling hiking river activities shooting sports hunting golf and a wide variety of special events. this property is located in the heart of the Texas Hill Country sixty miles NW of San Antonio.